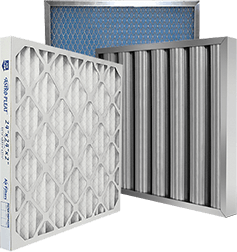 Sure-Fit White Dry Tackified Antimicrobial 10oz 90Ft Roll 48x7/8 | Air Filters, Inc.
Air Filters, Inc™ SureFit™ Blue and White Dry Tackified Antimicrobial 10oz Polyester , Antimicrobial, Used as a high grade 1 inch Blue and white media made with small denier fibers. Polyester , Antimicrobial media bonded with a fire retardant resin. The fiber orientation and graduated Density , Tackified of this media yields greater depth loading and higher arrestance than other synthetic media. 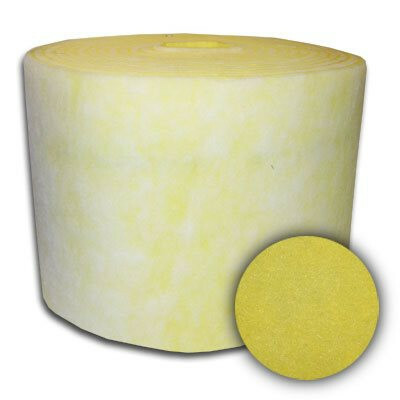 This product is a superior replacement for 1” Polyester , Antimicrobial media’s that contain lumps and thin spots and may be used to replace 2” fiberglass media.